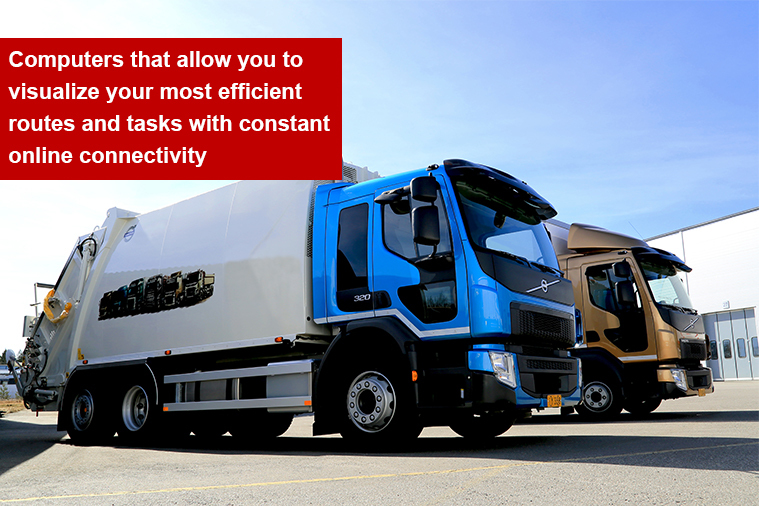 Nowadays, most vehicle-based occupations require some sort of fleet management system to increase job efficiency, whether for tasks such as transporting goods or garbage truck waste collection. In-vehicle computers are needed for control centers to track and optimize the route for each vehicle as well as provide the information on the latest task that needs to be completed for increased productivity and efficiency. These devices require always on connectivity, whether through GPS or other extensive wireless options for constant updates and fleet tracking. Winmate provides in-vehicle device solution for fleet management through our extensive product lines, such as our vehicle-mount computers, rugged tablets with vehicle docking, G-WIN series rugged Panel PCs or our latest USB Type-C Display. Our rugged devices are able to withstand constant vehicle use with anti-shock/vibration designs and our mobile options allow for versatile hybrid usage as vehicle-mount computers and field-use devices. 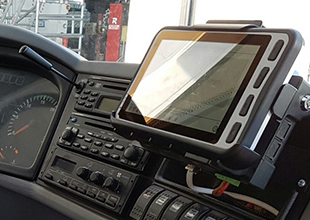 Winmate's Tablet PC with vehicle docking was configured specifically for installation in sanitation truck cabins to enable real-time route navigation and job status updates to the driver. Via GPS, the control center tracks and gives the drivers up-to-date job status feedback, as well as optimized route for the most efficient waste pickup. Winmate’s complete accessory ecosystem allows our tablets to be configured as vehicle mount computers and the rugged MIL-STD-810F design allows it to handle rugged vehicle usage with ease.